मोहे पनघट पर नन्दलाल घेर लियो रे ! 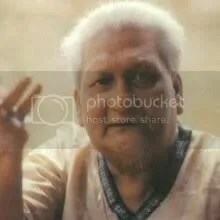 Ramkumar is more famous for ‘Toppas’ than ‘thumri’s which is also deeply hindusthani classical oriented.If possible manage to archive a song called “ekoda ek bagher golay har phutiachilo”. HINDUSTANI CLASSICAL SOPNGS ARE REALLY GREAT . THESE UNIFIES ALL STATES AND CULTURES OF INDIA .